Almost everyone who plays a lot of video games face a typical problem, being laughed at by some people who think that gaming is just useless and waste of time and gamers just keep themselves isolated within a small room all day and can’t be social or well educated as they waste a lot of time. Well, many of them are badly insulted for their addiction and affection towards games. Some people also believe that gamers are not good at outdoor games and they prefer computer or console gaming to use it as an excuse. In fact, US spend the highest in gaming. Last year American people spent a massive 13.5 billion USD in gaming. Till now, people used to have this kind of thinking, but looks like the days are going to change as a new study conducted by the video game streaming network Twitch and social researcher Neil Howe indicates striking images about the social and psychological aspects of gaming. A study was conducted over 1000 people via internet about their gaming habits and some demographic information was collected. In this study they assumed that a “gamer” was defined as anyone who has played a game on a digital device in the past 60 days. Approximately 63% of them were fit for this definition. According to a copy of the study provided to The Washington Post, gamers are more likely to be living with other people such as family, friends or significant others, and are more likely to agree with the statement, “My friends are the most important thing in my life.” About 57% of gamers said they agree with that statement, as compared to 35%. The study also found that gamers are split more evenly by gender than they have been in the past, with 52% of video gamer players surveyed identifying as male and 48% a female. Gamers are also slightly more likely to be employed full-time- 42% for gamers, versus 39% for non-gamers- and this is only due to the reason that the gamers want to financially support their gaming hobby. The study also looked into gamers’ media habits and found out that they spend most of their time using gadgets and also tend to spend a lot time with media. But, mostly irritated by some media related to ads or promotion. That kind of reaction was recorded on non-gamers also, but most of them do not bother about such ads or promotions. Also, the gamers like to make more friends of their own kind and want to make other people educate and let them know about the virtual world of gaming. 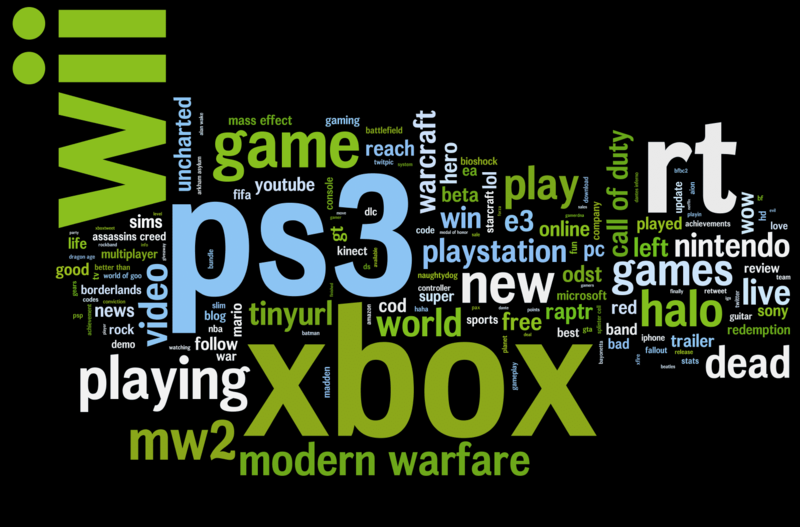 The gamers are also likely to engage in a conversation with other people with similar interests than non-gamers. This is a new striking statistics and this may also have an impact over non-gamers’ attitude towards the gamers in our society. So, gamers, just share this with all your friends who blames your for being anti-social or a nerd and I hope most people who have brains will understand what you mean. 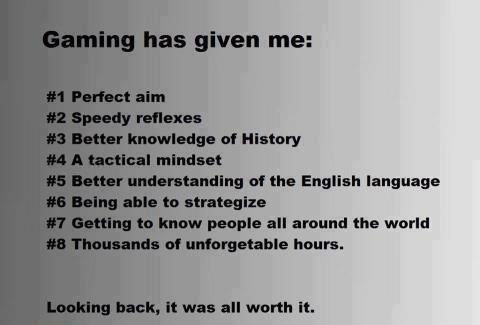 And at the last, here is something that defines me and every single gamer on this planet. You will love it.